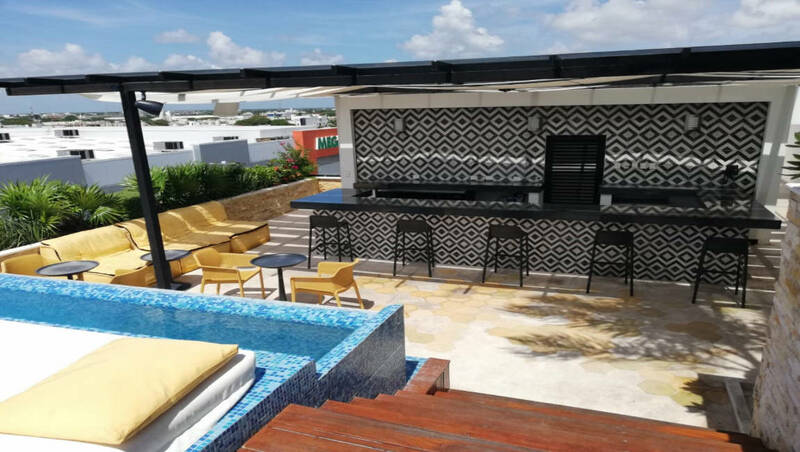 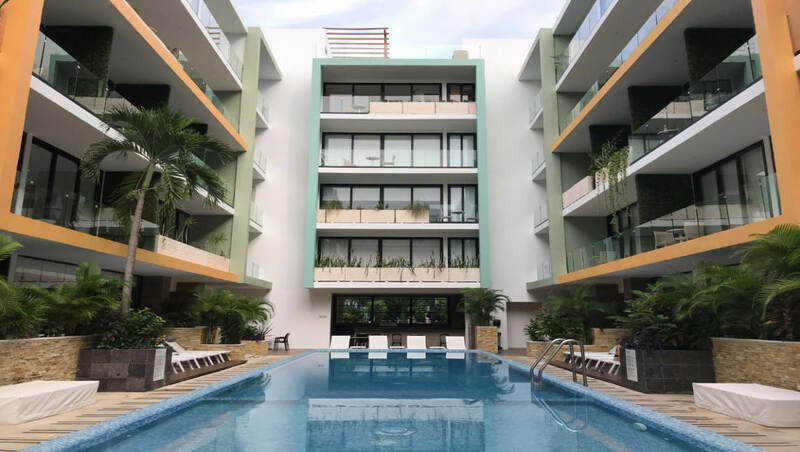 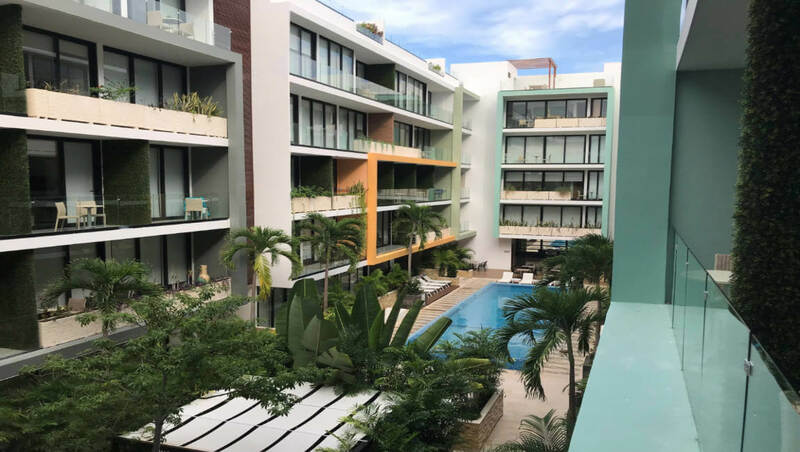 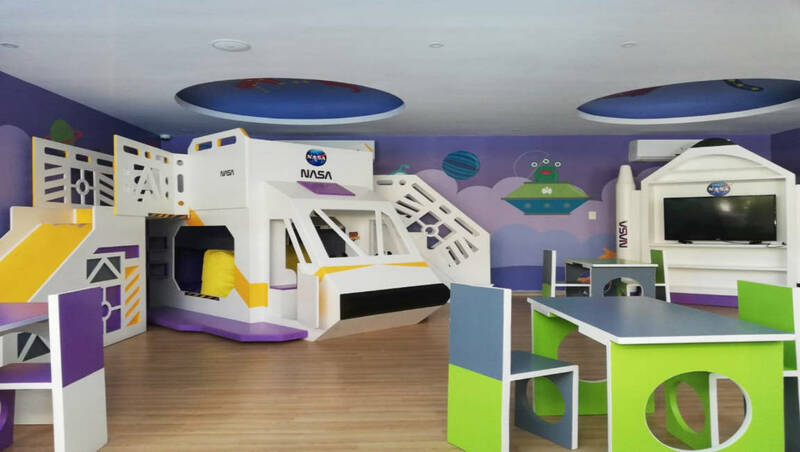 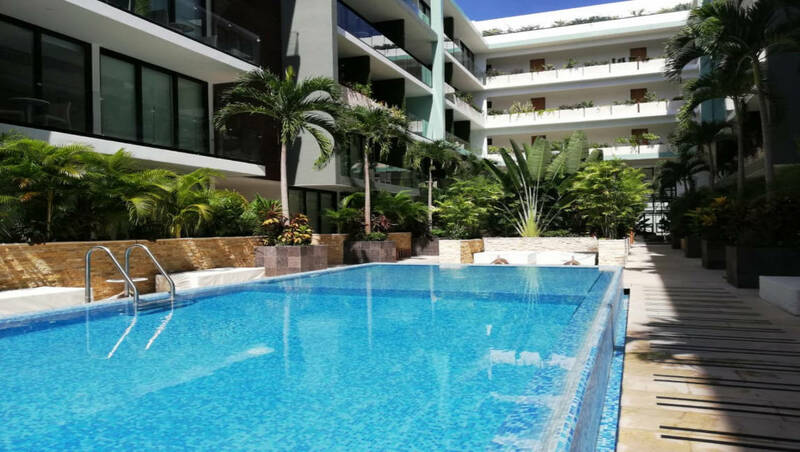 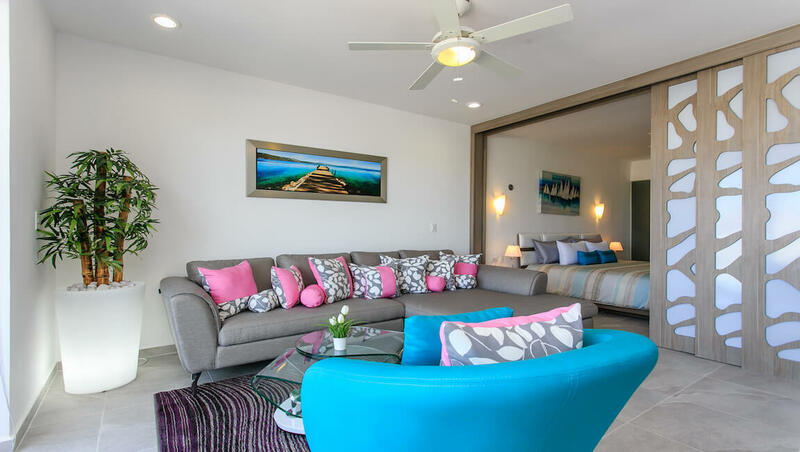 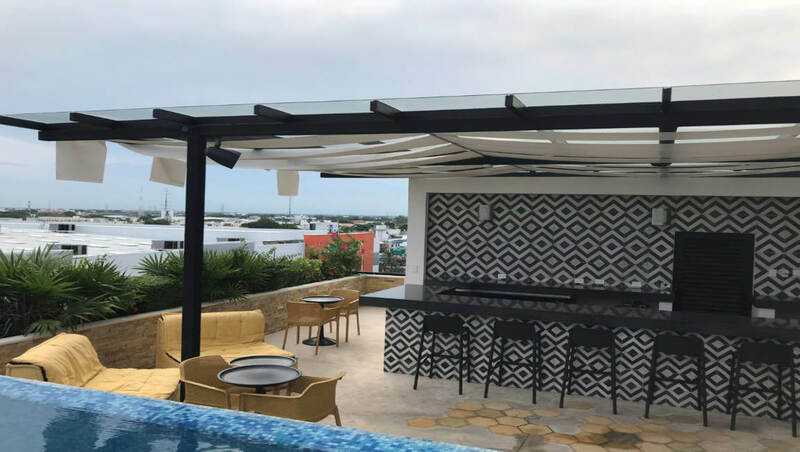 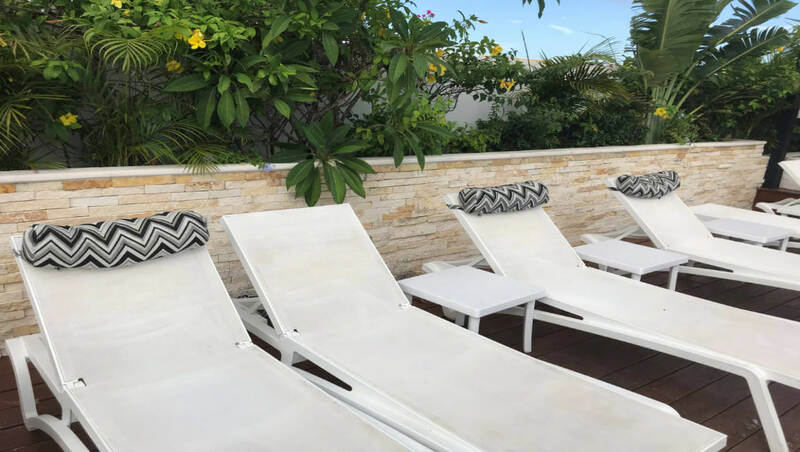 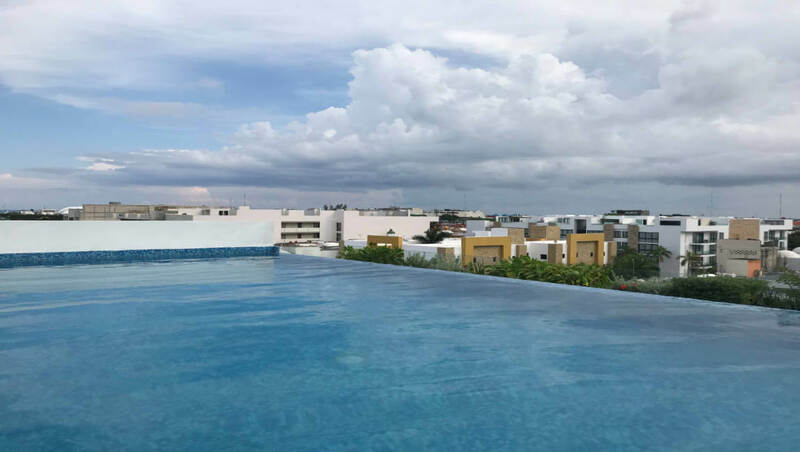 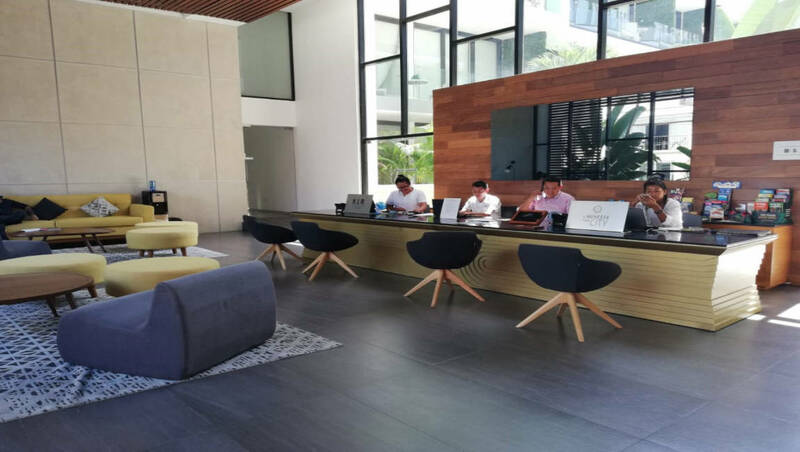 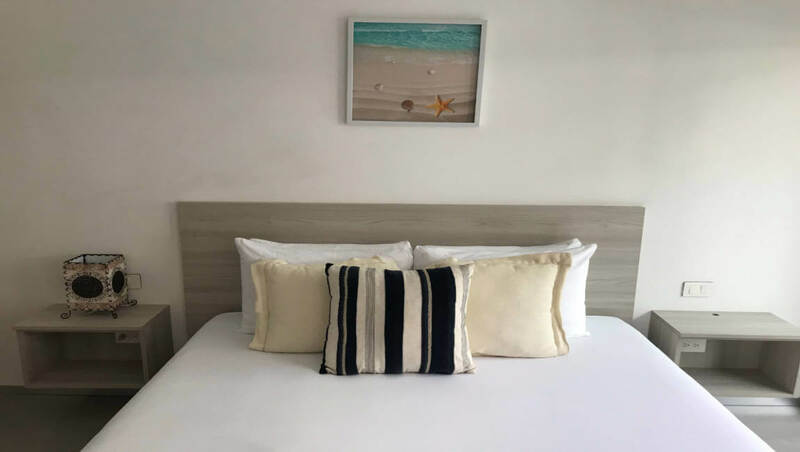 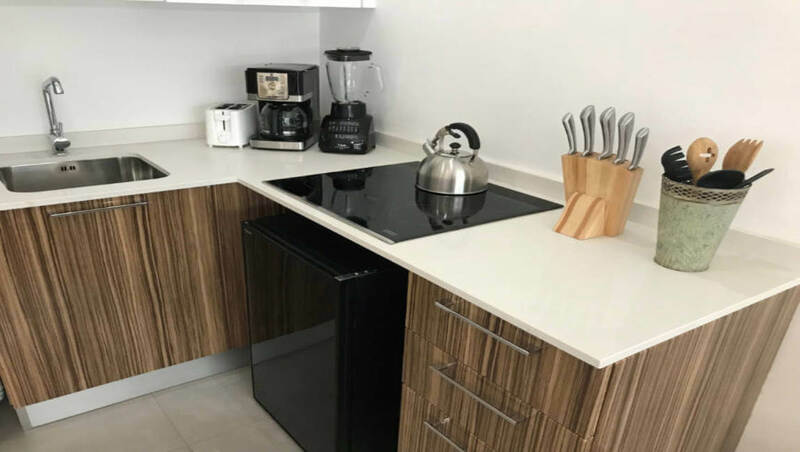 Studio Jade is the perfect place for your stay, with everything you need to relax at the end of a day at the beach or exploring the Riviera Maya. 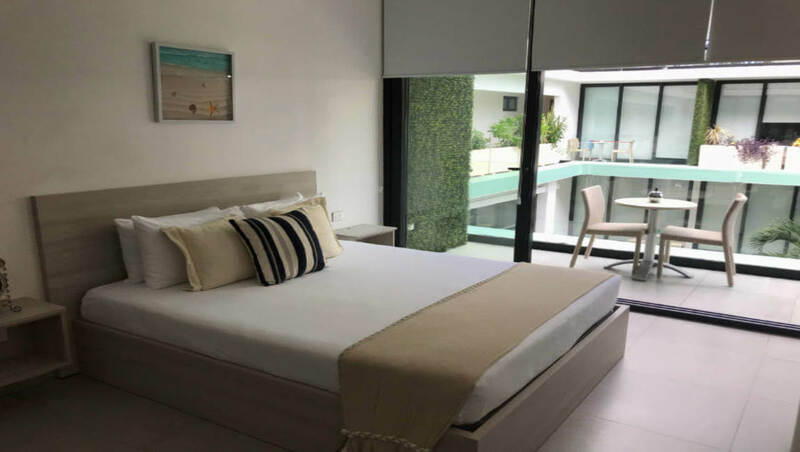 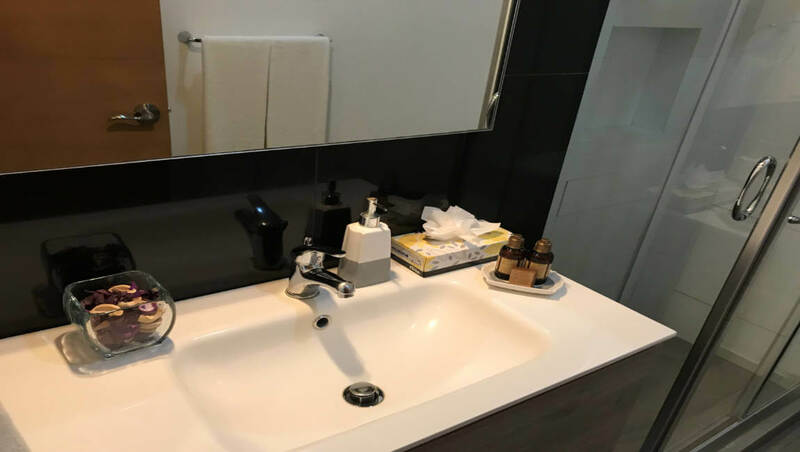 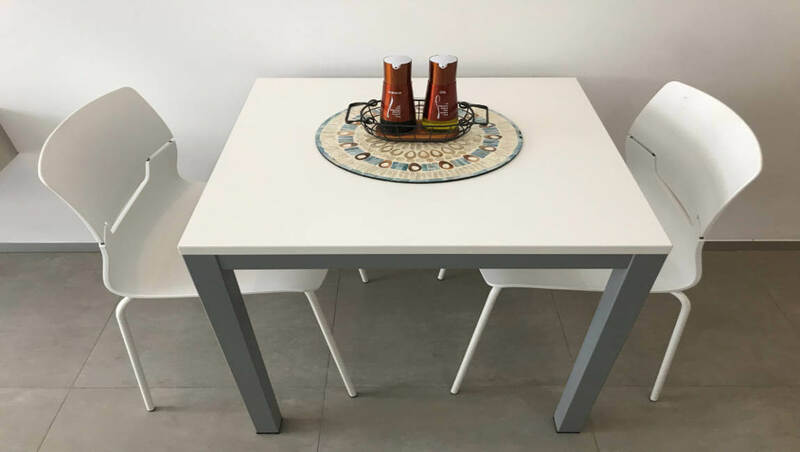 The studio features a queen size bed, dining table for two inside and another table on the terrace, plus a kitchenette area, perfect for making your coffee in the morning and blending a margarita for happy hour, and preparing meals. 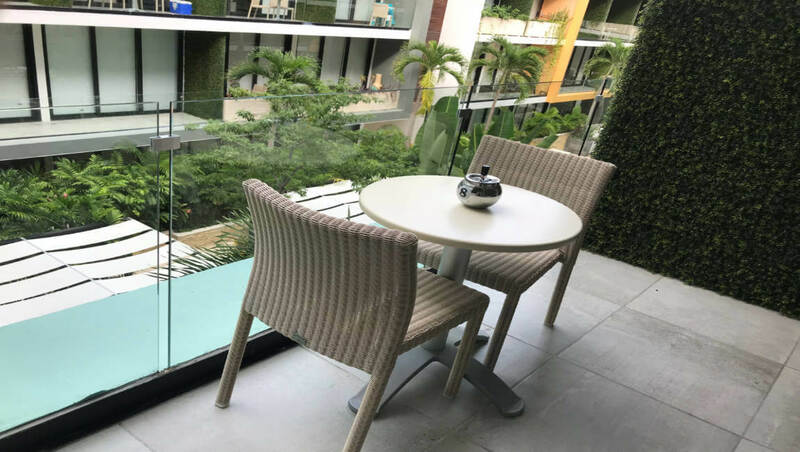 The terrace overlooks the lovely common areas. 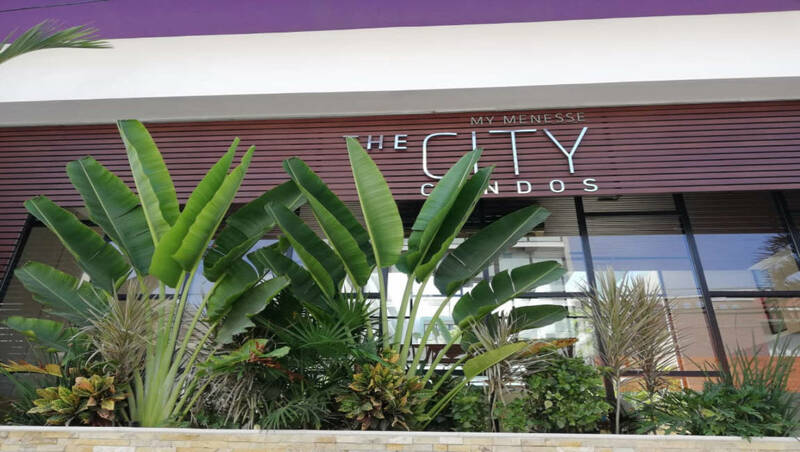 The City is also next door to some great restaurants, the grocery store is just across the street, organic market one block away, everything is within walking distance. 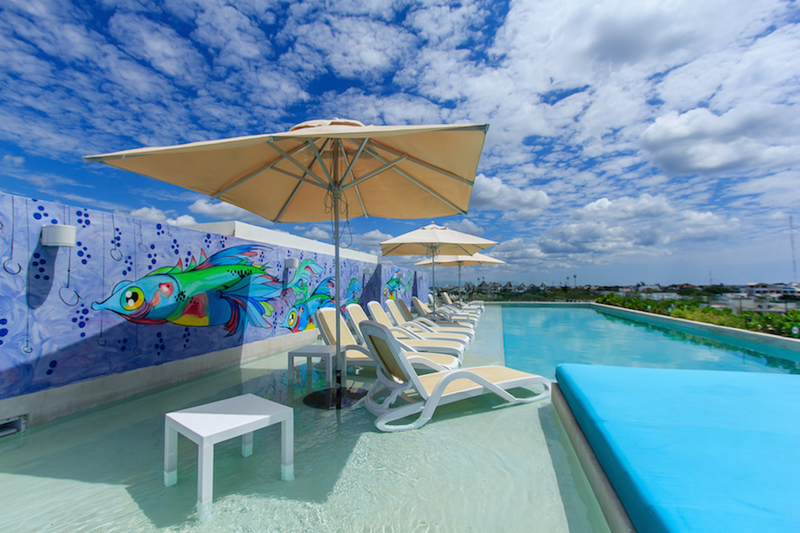 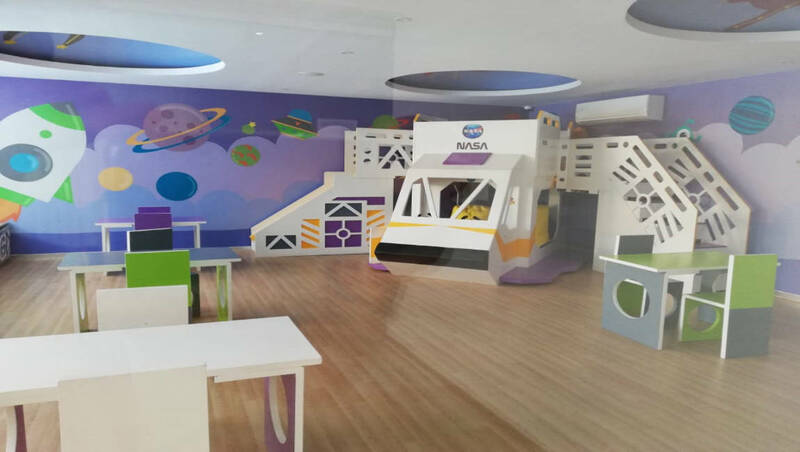 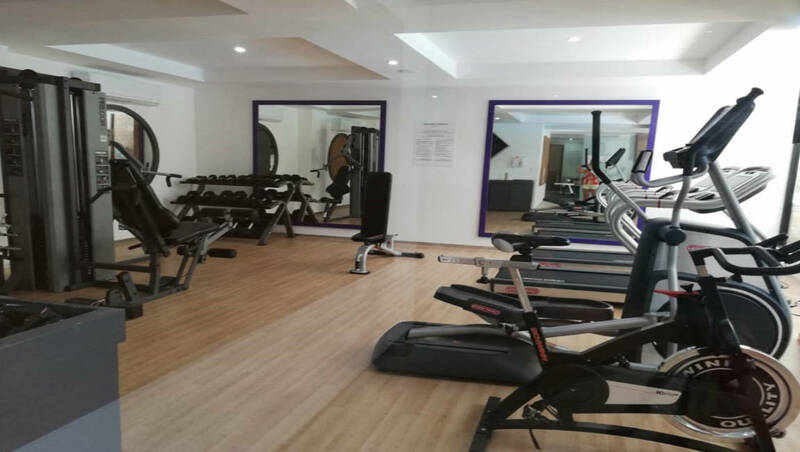 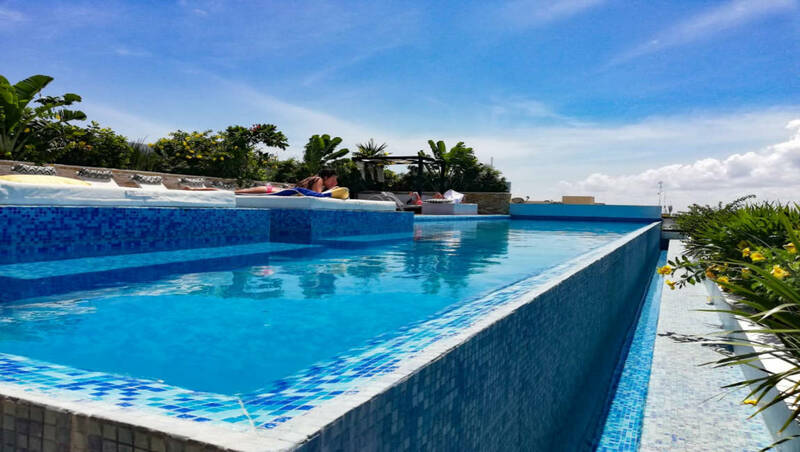 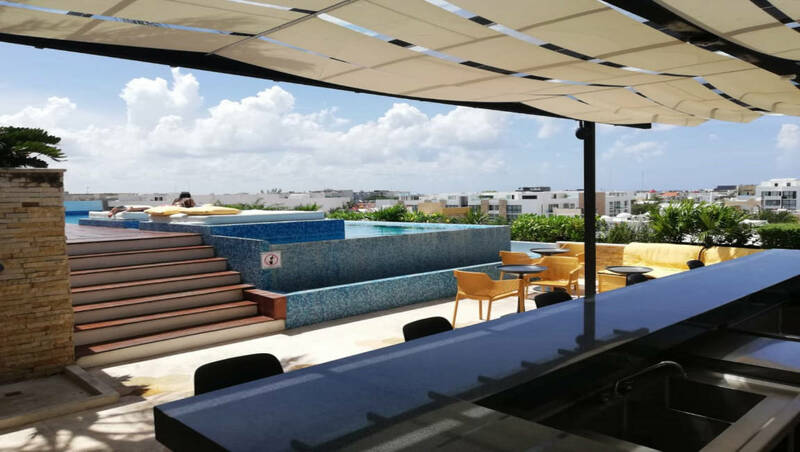 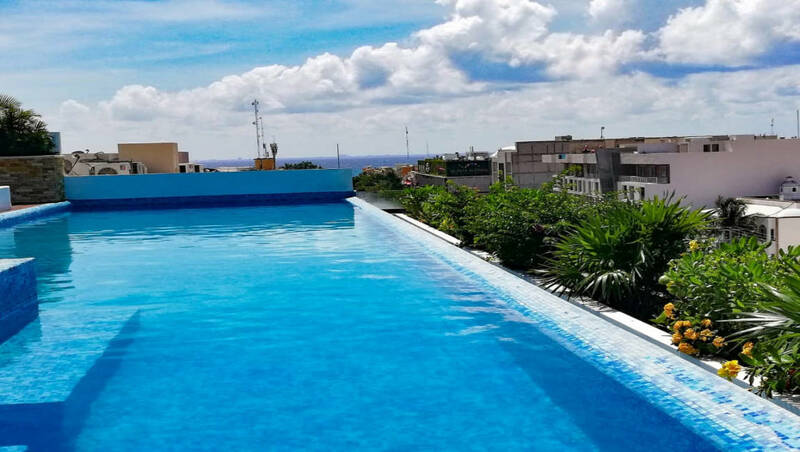 This exclusive building offers incredible amenities such as 2 pools, one on the first level for families and kids and a second one on the rooftop for exclusive use of adults, 24 hour security, elevators, underground parking, gym, sky bar and lounge on the rooftop.